The iPhone X started it in late 2017, when Apple had this crazy idea of removing as much of the physical borders as possible from the phone's display. But what they couldn't do was remove the front camera and the mandatory sensors from the top, thus forming the notch. Vivo, a major Chinese brand, decided to take that challenge head on. They started off with the Vivo Nex, a smartphone with a pop-up camera. But, it wasn't enough. They wanted a phone, at least a concept, with no notches, no holes, no ports, essentially no interferences. The result? Vivo Apex. This phone from the future is devoid of any ports - charging or otherwise. It also does not have any holes, buttons, or cutouts. 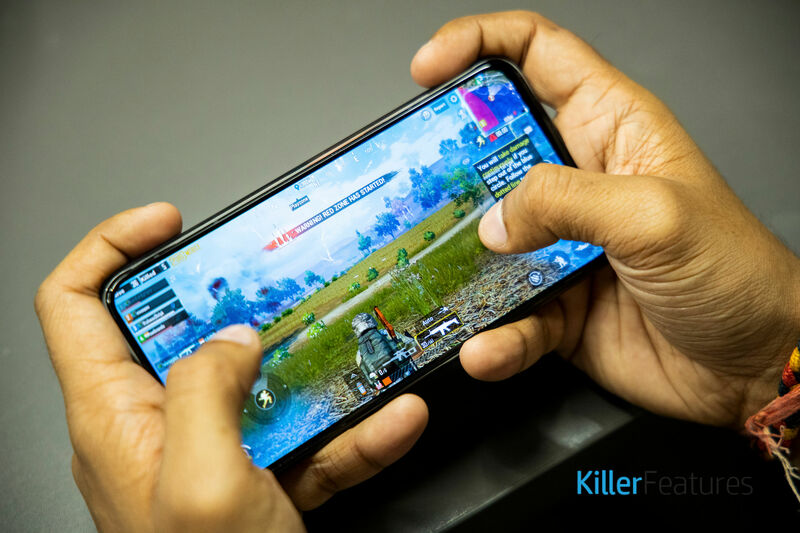 KillerFeatures got brief access to the Vivo Apex concept and here is what we think about the smartphone. Two things before we go ahead; the phone was sent out to us only for a couple of days, and the Vivo Apex is just a concept that will never be released in the market. Unlike any other smartphone in the market, the Vivo Apex feels different. It feels like a solid slab of glass in your hand. It is heavy; much heavier than much bigger phones. At first glance, you notice the front of the smartphone, which resembles the Vivo Nex because of its seamless appearance. The phone sports a beautiful Super AMOLED panel. Once you start looking around, you notice the uniqueness of the Vivo Apex. It has no charging port, no 3.5mm headphone jack, no visible microphone port, and no hardware buttons for volume and power. Instead, the entire right side of the phone is a large touch panel with pressure-sensitive controls for power/lock and volume control. They are clearly marked on the display, which can sometimes get a bit distracting. These are times when you wonder, was a notch really that bad? At the back, you have a decent rear camera setup. However, placed behind a thick slab of glass, the resultant shots are extremely prone to smudges and don't offer a great experience for the segment this phone competes in. Additionally, the unit we received appeared to have half-baked software, and we ended up facing several bugs and glitches during our experience with the Vivo Apex. Talking about the internals, the Vivo Apex is a mammoth when it comes to specifications. It is powered by the latest Snapdragon 855 processor, coupled with 12GB of RAM and 512GB of inbuilt storage. We tried out PUBG on HDR settings on the smartphone, and it gave us good results albeit with a strange whirring noise from the chassis. Another highlight of the Vivo Apex is its proprietary charging design. Strangely, Vivo decided to go with magnetic charging instead of wireless standards. The phone charged slower than Huawei's own wired charging mechanism, but this method was slightly more convenient than traditional wireless charging. All in all, the big question that comes to mind after using the phone is why would Vivo want to make this kind of a device for the smartphone segment, a segment that focuses on convenience and fluidity. But, that's not the point of the Vivo Apex. Not at all. With the Apex, Vivo wishes to make a statement. It wants to say that there can be a utopian future for smartphones. And, if there is one, the Apex should be treated as the reference point. But, like most first concepts (the Wright Brothers' airplane, for instance), a lot needs to be polished. Vivo seems to have gotten the essence of the concept and the design bang on, but a lot of thinking is required to make this thing seem more practical. Long way to go, but the foundation has arrived. Apple, Samsung, whatchu' got?